A complaint ? Lost or found property ? The region has implemented certain rules to guarantee the best service for users. A willing taxi driver and no place for old wrecks! Vehicles cannot be in service for more than 7 years from the date they are first used. 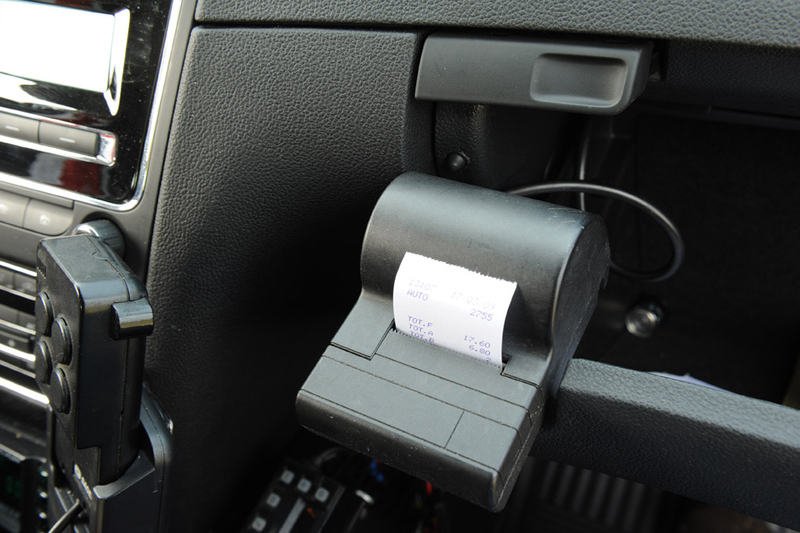 All taxis are fitted with a taxi meter connected to a printer. Drivers must issue a printed ticket at the end of each taxi ride. The ticket gives the vehicle identification number (4 digits), the order number for the taxi ride, the date and time of pick-up, the number of kilometres travelled, the rates applied, the total for the taxi ride and the freephone number. 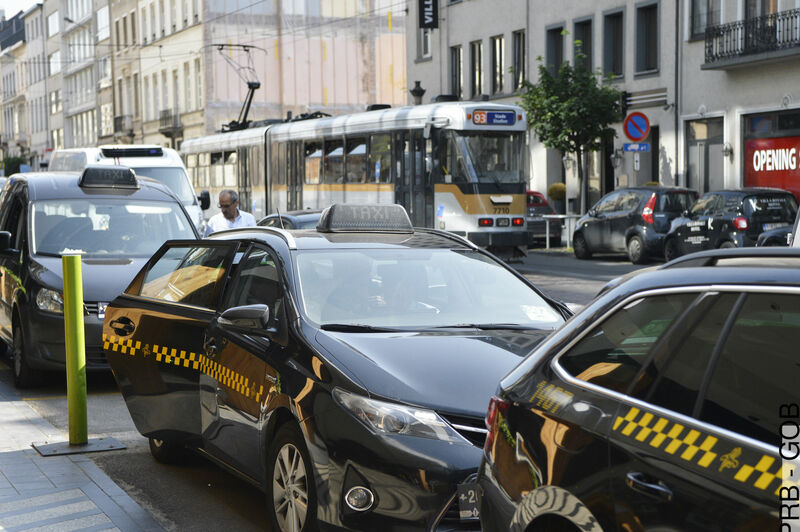 Since 1 January 2016, it has been compulsory for all Brussels taxis to carry a credit card reader. Drivers need a certificate of competence to practice their profession. To obtain this certificate, candidates must successfully complete a series of behavioural tests, a theory test and a practical exam. Drivers' certificates of competence are renewed every two years. Drivers can take part in various training courses. These courses are designed to provide the knowledge necessary to transport people to their destination in complete safety, help a taxi driver adapt their driving to the circumstances and in consideration of the people being transported (tourists, people with reduced mobility, etc.). In their profession, taxi drivers can also take free language courses and courses on green driving. 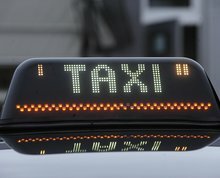 Since 1 September 2011, it has been compulsory for all Brussels taxis to be black with a black and mango-yellow checked band with 2 Irises symbolising the Brussels-Capital Region on their 4 doors. Brussels taxis have a light on their roof known as a "Sputnik" featuring the black and mango-yellow checked pattern. They are also fitted with a rectangular identification plate with 4 yellow digits on a blue background featuring the Brussels Iris. This plate is attached to the front right-hand bumper of the taxi. The taxi's identification number also appears on the vehicle's rear wings. In addition, you can find this taxi identification number in two specific locations inside the vehicle; on a plate attached to the dashboard (generally above the glove box) and on the laminated rate card attached to the back of one of the vehicle's headrests. All Brussels taxis have a licence plate with the letters TX. The price for a taxi ride varies depending on the distance between the location where you are picked up and where you want to be dropped off. In addition, the rate depends on your final destination. It is important to understand that only rate 1 applies within the perimeter of the Brussels Region. Rate 2 applies if your destination is outside the region and does so on the section of the journey that is outside the Brussels Region. The driver must therefore be sure of your final destination before moving to rate 2. Here are the municipalities in the Brussels-Capital Region that mark the regional perimeter: see list. Between 10pm and 6am, a fixed charge supplement of €2.00 applies (the taxi meter has a clock and calendar which allows this supplement to be recorded automatically). There is no supplement for luggage, an assistance dog or a taxi ride to the airport. The obligation to give you a ticket! The driver must give you the printed ticket (and not a handwritten one) relating to your taxi ride once it is finished. This ticket has the taxi number, the price of the taxi ride and a range of information that is useful in the event of a complaint or lost property. Where can you find a taxi? by hailing a taxi in the street by signalling the driver (but only if you are over 100 metres from a taxi rank).